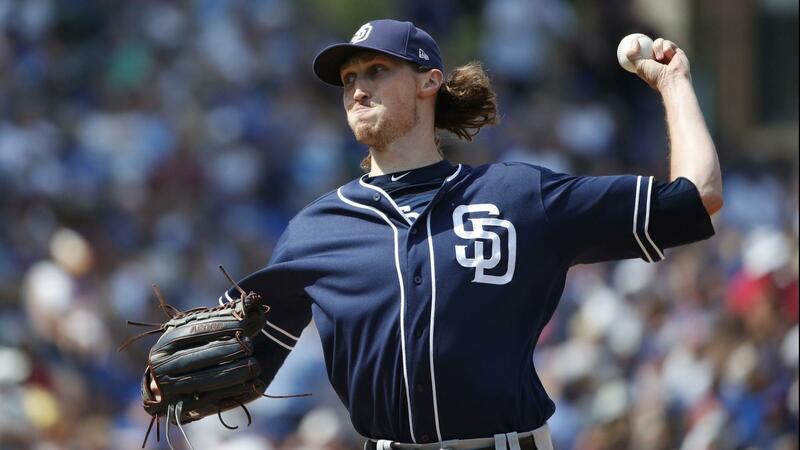 Matt Strahm is poised to have a great 2019 season for the San Diego Padres. The left-handed pitcher still does not feel 100 percent. He is close to feeling that way and once he does- watch out NL hitters. 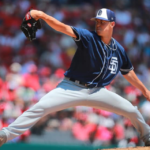 Two winters ago, Matt Strahm had a very uneventful offseason after being acquired by the Padres from the Royals. 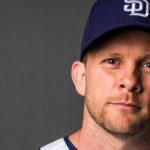 A torn patella tendon in his left knee that required surgery in July of 2017 provided the pitcher with plenty of time to reflect on his craft. He never threw a pitch for the Friars in 2017. That winter, Strahm attempted to get into shape, but his knee prevented him from really getting appropriately prepared. 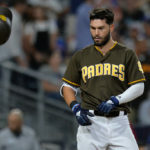 In 2018, his first season with the Padres, he was very successful with a record of 3-4 in 41 games (five starts) with a 2.05 ERA. The lefty also put up a remarkable 0.978 WHIP. He cut his walk rate almost in half from the 2017 season when he was with the Royals. Strahm pitched well, but he was not close to 100 percent. That is a scary thought. Even scarier is the fact he still does not believe he is entirely healthy presently. “My left leg is still a little smaller than the right, but they are bigger than they were after surgery last year. I just have to catch up. But I will get there,” said Strahm. He was close when we spoke towards the end of the spring in Peoria, but was still not satisfied. “I’m trying to get back to my normal routine as much as possible. The big thing for me is to get back to my running routine. Once I get back to my five-day running routine with my lifts- that will be my last hurdle,” explained Strahm. His health is close, but he still feels he could be better. 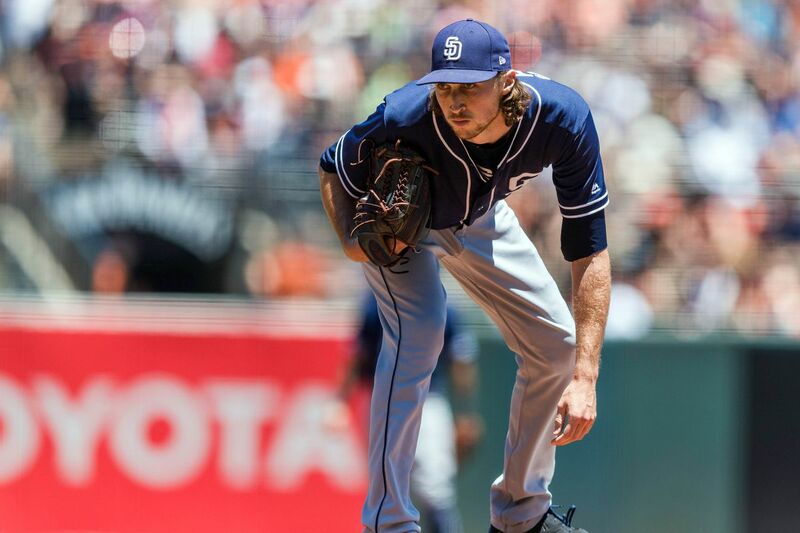 In time, we could see a healthy Matt Strahm take his pitching ability into another level. 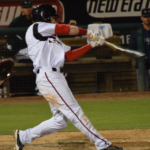 Last season, EVT spoke with Matt Strahm, and it was written that he would have an impressive 2019 campaign. With his legs entirely underneath him, he could be a valuable pitcher for the Padres this season. “Last year I only had one leg, and I expect more,” said Strahm with an earnest face. He knows that he is capable of more and is pushing himself to get even better on the ball field. “I had a good year, but the thought of not having to worry about my leg will be great. 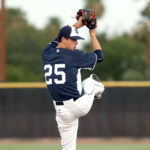 It is one less thing to worry about, and I can focus on pitching,” said the left-handed pitcher. 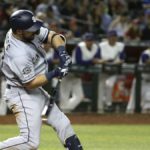 The Rapsodo machine revolution hit the Padres hard this spring. Several pitchers were seen utilizing the systems in a search for more information. Strahm did not utilize the cameras and the data in Peoria as he had other priorities. “We starting using them here (in Peoria). It is something I will be fiddling with in the future. As of now, my main concern has been health,” stated the pitcher. The numbers do intrigue him slightly, but he is more of a feel pitcher than one who digests numbers daily. His health and gaining that 100 percent feeling from his knee has been his primary goal. Strahm has four pitches which he has an excellent command of while toeing the rubber. In speaking of matchups and his comfort level of throwing particular pitches, he had some interesting things to say. “I feel I have the capability of changing my repertoire to a particular lineup. I am very comfortable with all three of my offspeed pitches. I am comfortable with them in all counts and situations. If a team struggles with a certain pitch, I can use that against them,” explained Strahm. He enjoys attacking hitters with an assortment of pitches and has learned to utilize each pitch when needed. The left-handed pitcher is embracing his role in the rotation. He wants the ball every fifth day. “I don’t focus on my numbers. Instead, I focus on one start at a time,” said Strahm with a fierce look on his face. There is a determination to get better from this pitcher. He also showcases thick skin and the ability to turn the page. Things that are a necessity for a pitcher to have the utmost success in major league baseball. 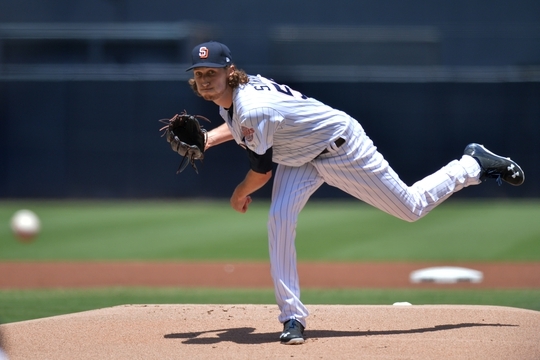 With 100 percent health, Matt Strahm is capable of being an all-star level pitcher. 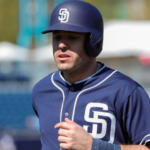 The Padres will take it slowly with him as he improves with his health. His future is bright. If Strahm keeps pitching like this they won’t have to worry about his innings limit. I was very shocked with Strahm performance last night. Nobody has written a word about what was up. Earlier in his career before the knee injury, he had problems with Flying Open and lost his command. He looked nothing like he did all spring. I also don’t remember him going from stretch full time. That was not explained during the broadcast. Did something happen to him health wise? I honestly thought he could be our best of our 5 starters this season.